Unfortunately though, according to a DecisionWise benchmark study, up to 35% of employees don’t speak up because they fear retribution. And that is not the only reason: some fear retaliation or that they will look stupid. Impostor syndrome, difficulty challenging authority, previous bad experiences, unfamiliarity with giving feedback in a trustworthy manner, and managers’ unavailability to take feedback – these are all reasons why people end up not sharing knowledge and experience. So how can you solve this problem that a lot of companies face? By building confidence at the workplace, so employees feel safe to ask questions and share their expertise. Asking questions or sharing knowledge with a large group of people can seem daunting. Help colleagues or employees take baby steps, by encouraging them to share their idea with a friend first. Discussing it and getting feedback from a friend not only allows them to test possible reactions, but also build confidence to share it with others. If a meeting with a superior seems like a scary idea, sharing thoughts with your team might help, no matter if it’s online or face-to-face. Create a company culture where people can speak up live or through a knowledge sharing platform, to surpass boundaries when it comes to putting ideas out there. Repeating this step will encourage employees to share thoughts when somebody from upper management asks for a solution. Brainstorming helps put ideas into perspective and generates solutions that you may not have thought of on your own. If sharing an idea makes people nervous, they might feel more comfortable with iterating on someone else’s idea. This process has the potential to transform a good idea into a real game changer. Knowledge management tools provide each user with a profile page, showcasing their most recent activity, and a reputation score, alongside awards or badges. Although they might seem small, these details matter a lot because they reveal topic experts. They also keep employees engaged and encourage them to answer questions and post valuable information, just to increase their scores and earn new badges. Think of it as social proof inside your company. Mass emails are widely used in organizations to communicate, but they come with a few disadvantages, like losing important messages. A knowledge sharing platform can actually turn emails into conversations, inviting employees to provide insights and keeping better track of the information. This way people have quick and easy access to the information they need, not to mention that it encourages them to interact with one another. It is well known that one of the biggest problems of larger organizations with segmented departments, is lack of communication. Having a knowledge management software in place makes it easier for everyone to solicit information without leaving their desk. Moreover, employees will also spend less time looking for the right person able to answer their questions, since they have an organized knowledge base and can look for topic experts. Another issue generated by using mass emails as a means to communicate is that a lot of the information sent through them only pertains to a select group of employees. On the other side, using a knowledge management platform give employees the chance to customize the topics and users they follow. Therefore, they only receive notifications from the topics that interest them and save time otherwise wasted sifting through emails. You will quickly notice less distraction at work, because employees can focus on the task at hand. At the same time, they will receive updates on relevant information, allowing them to remain on track and up-to-date. Often, one of the most under-realized advantages of knowledge management is the opportunity to motivate the organization’s workforce. In large companies, it’s common for employees to feel more like numbers than individuals, because their creativity can be suppressed and they fear stepping outside their predefined box. This is where knowledge sharing comes in, promoting the “think outside of the box” concept, as well as cross-departmental communication. A KM platform also identifies untapped sources of knowledge, thanks to the reputation scores and community awards we were talking about earlier. 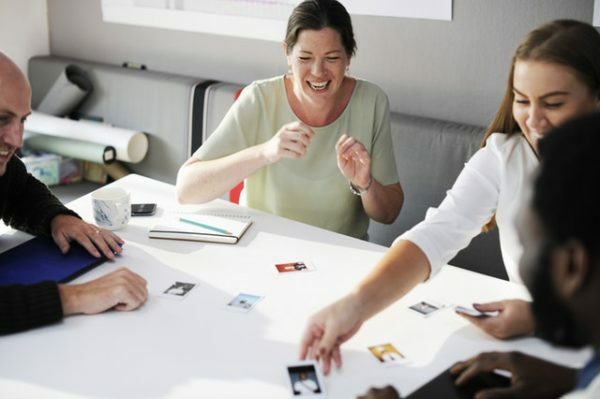 If organizations manage to create a culture of knowledge sharing and continuous learning, it will help them remain both competitive and successful. This requires an open, intuitive and, most importantly, modern approach. Strive for an environment where people feel confident enough to share what they know, and where bi-directional participation of both “knowledge seekers” and “knowledge providers” is encouraged. What are your favorite ways of building confidence in your company? Share knowledge with your peers by dropping us a tweet at @QuandoraQA.